Today friends and neighbors gathered at NE 115th St & 9th Ave NE to paint an intersection mural. A boy applied for a Find It, Fix It Grant for the mural and it has come to fruition! There was food and paint and fun and only moderately unhealthy air quality from the wildfires. Painted intersections and street murals help give neighborhoods a sense of place and can be a way to organize community members around a common goal. Street murals not only increase the aesthetic value of roadway space, they may also have indirect effects on helping to slow neighborhood traffic. 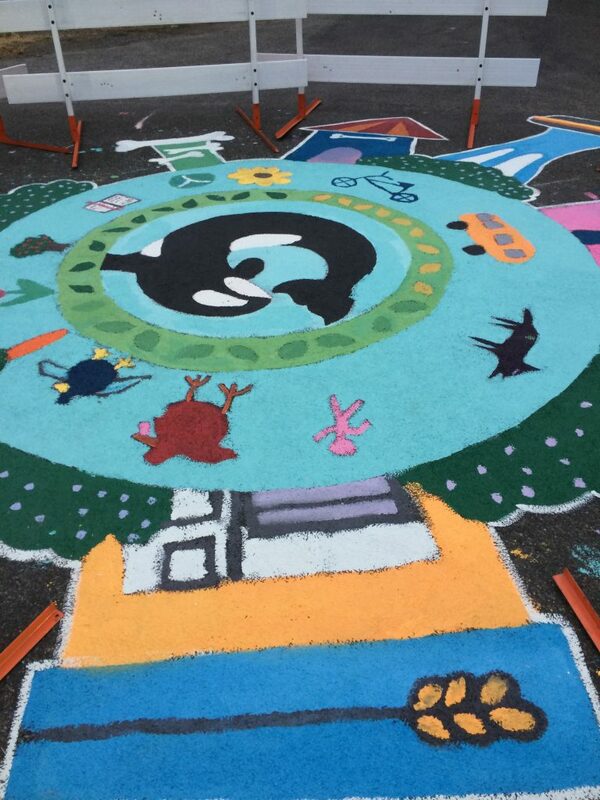 Note that all murals must be approved by SDOT’s Transportation Operations Division and must use skid resistant paint.